INTERNATIONAL Fibre Systems (IFS) has released the D2510WDM universal serial data transceiver. 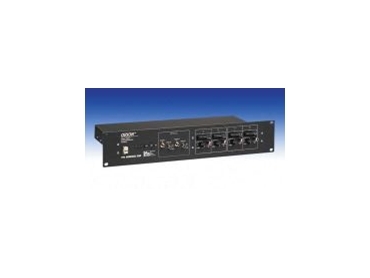 The unit provides transmission of a single RS-232, RS-422, or RS-485 serial data signal over one multimode optical fibre. The transceiver is suitable for applications where there are many different types of serial data present. These include applications where multiple systems are being integrated over fibre or where fire alarm, access control, and camera control data operate with different data protocols and data rates. The transceiver was designed to maximise the utility of newly constructed fibre optic cable plants, or to increase the information capacity of existing plants where the cost of pulling additional fibre may be prohibitive. The transceiver may also be used for increasing the transmission distance of traditional copper-based cabling networks. Data transmitted over optical fibre, using the transceiver, has an effective range of up to 3.6 miles. This is substantially more than conventional copper-based cabling systems, where the distance may be limited to relatively short runs per segment and are susceptible to EMI/RFI interference. Many industrial security and factory automation systems have to deal with electrical noise, radio frequency interference, and harsh environmental conditions. The transceiver meets the requirements of NEMA TS-1/TS-2 for resistance to these conditions. The transceiver has an operating temperature range of -40°C to +74°C. It has LED indicators that help the installer and user ascertain status without the need for test equipment. Dry relay contacts are provided to activate an external fault alarm in the event of a fibre break or loss of operating power. The units are available in standalone or rack mount versions.